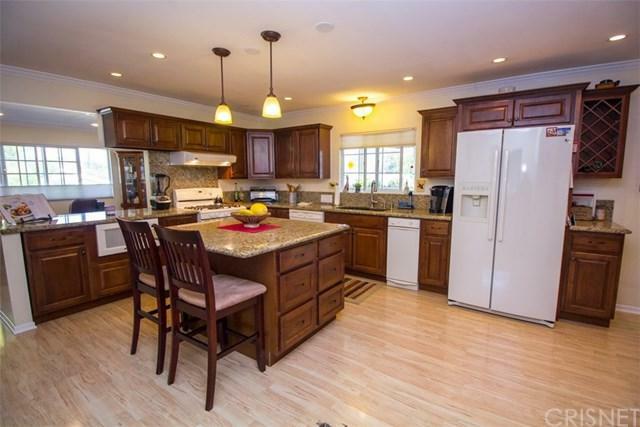 This lovely home, nestled in the hills of Calabasas, is located in Calabasas Village. 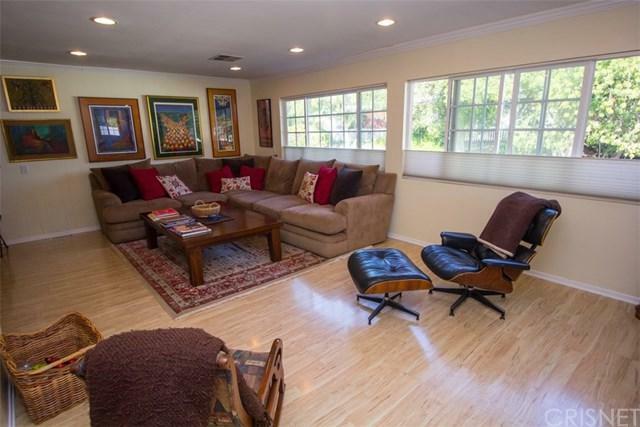 Completely remodeled by the current owner, it features 3-bedrooms and two-bathrooms. 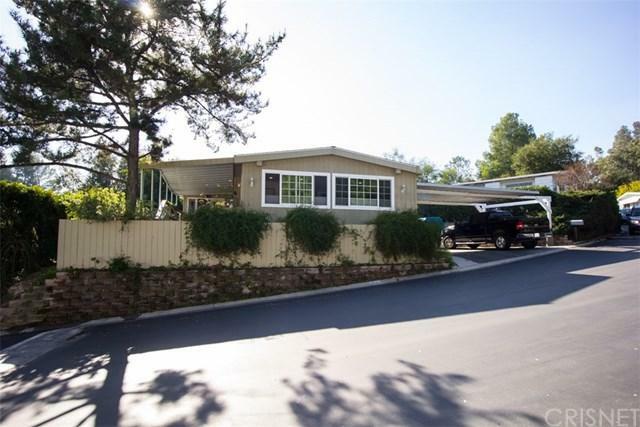 Entering from the driveway, you+GGll go down a short hallway passing the first of two bathrooms and a laundry area with a utility sink and washer and dryer. From the hallway walk into a warm, open concept kitchen boasting granite counter tops, center island, lovely cabinetry, pantry and large dining room area. 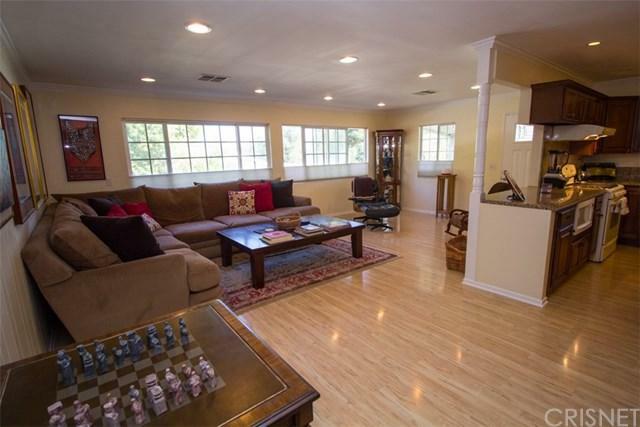 The bright living room is large enough to host gatherings for family and friends. The first spacious bedroom, connects to the first bathroom. The second bedroom, currently used as an office, has a large walk-in closet and 2 sets of french doors, one leading to an outside deck. From the deck is a magnificent view of the hills of Calabasas. The master bedroom includes an enormous walk in closet, built in book case, as well as an on-suite bathroom with tub and shower. The roof is approximately 4 years old and the heating and air-conditioning unit about 3 years old. There+GGs no lack of storage inside the house. But if more storage is needed, there are additional storage areas built on the outside of the home. This is a great home to consider especially for a family looking for an opportunity to get into the Las Virgines School District. The park features a tennis court, playground, pool, spa, sauna, library, rec. room, card room, gym and kitchen.